Having a baby can be expensive and when you’re a first time parent, the registry process can be quite overwhelming. I’ve compiled a list of a few must-haves for your registry for baby’s first 3 months of life. Trust me, you’ll be happy you have these items during this beginning stage! This post contains affiliate links. All opinions are my own and I am not being paid to review these products. However if you click one of the links and buy something I will receive a small percentage of the sale. Thank you for your support! A car seat is an obvious requirement for a baby, but picking a good one without breaking the bank can be a challenge. 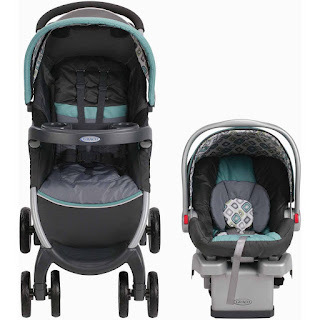 This Graco FastAction Fold Click Connect Travel System is very similar to the one we got for Raley. The stroller folds up like a breeze and is easy to transport. The car seat has been incredibly durable and is still going strong after two babies. We ended up buying 2 extra car seat bases (one for David’s car and one for my mom’s since she keeps the girls) for easy transport between cars. Remember to always check the expiration date on your car seat if you plan on reusing your car seat for a second baby or buying second hand. For good information on car seat expiration check out this site. 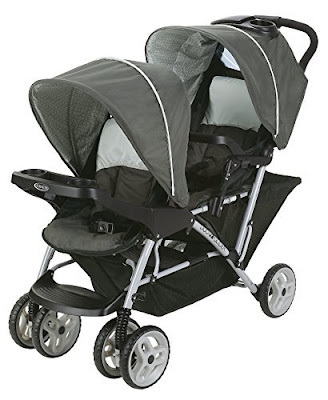 If you are having your second child and are looking for a double stroller, we love this one. 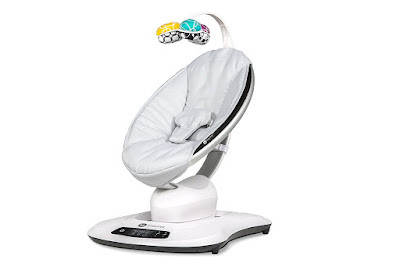 Our Graco car seat clicks right into it without any difficulty. You can actually put 2 car seats in it at once, so it’s perfect for twins as well! 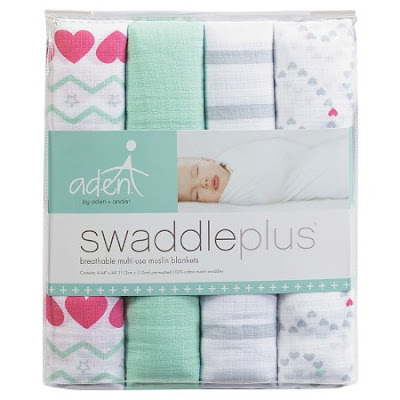 Aden and Anais Muslin blankets are my favorite. They are so soft, lightweight and breathable. However, I prefer to use these as blankets rather than to swaddle with. As for swaddling babies to sleep, I prefer to use the swaddlers that velcro. My babies would always wiggle their way out if I just used a blanket. I loved these because it kept them all wrapped up and cozy and they tended to sleep better. 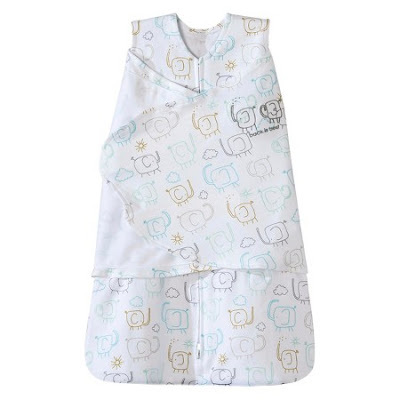 I like the SwaddleMe brand and the HALO SleepSack Swaddle. This pillow was a life saver! It is not only is it great for nursing moms but it’s great for dads or anyone else who is feeding baby or holding them for an extended amount of time. Even if baby only weighs 7 pounds, your arm still gets tired! The Boppy Lounger is something we didn’t have with Raley but were glad we had with Audrey. 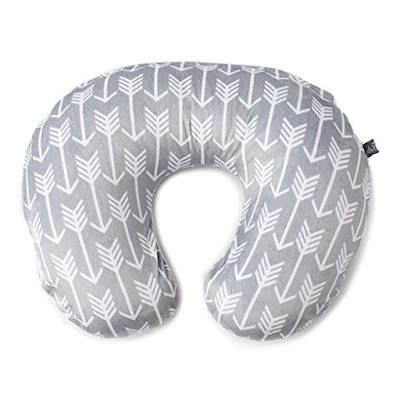 It’s similar to the Boppy Pillow but doesn’t have a hole in the middle. 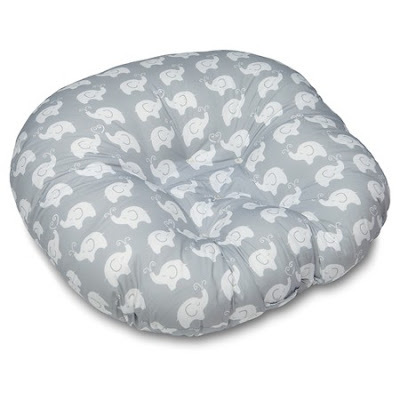 It is a round pillow that sinks down in the middle so baby can “lounge” (hence the name!) Audrey would sleep right beside me on her lounger multiple times a day while I pumped. Super comfy! Or if you’re like us, all three! When we first brought each of our babies home they slept in a bassinet beside our bed. Raley slept in our room for a month and Audrey for about 3. I was very emphatic about them getting used to sleeping in their own rooms. They both started sleeping longer once they transitioned to their crib. The only reason Audrey stayed in our room for longer is because she was still waking up a couple times during the night and getting up early in the morning. I was afraid she would wake up Raley when she woke up crying during the night. I actually borrowed bassinets for each baby so I never had to buy one. I really liked the one I borrowed for Audrey from my brother and sister-in-law. 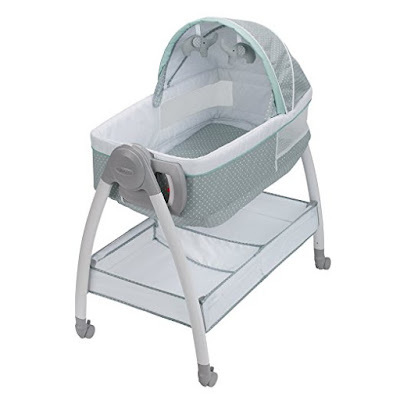 It had a basket underneath where I could store blankets, diapers and wipes for midnight diaper changes, and a change of clothes in case of blowouts in the middle of the night. It also had a light on it, made noises, and vibrated. If I were going to buy one myself I would look for one with all of these features. We had a pack-n-play set up downstairs that we used for diaper changes during the day and, at times, for daytime naps. The one we have has a storage basket on the side of it that holds diapers, wipes, diaper cream, lotion, and hand sanitizer. We also use the pack-n-play for the girls to sleep in when going on out of town trips. It folds up nicely and is very easy to transport. 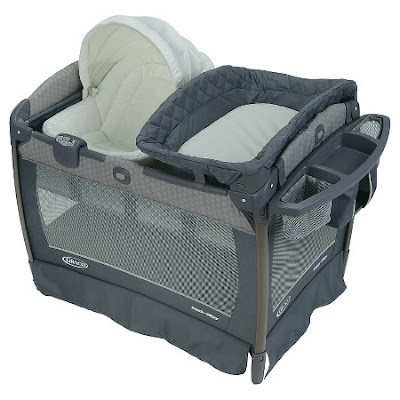 Making the transition from bassinet to crib can be very nerve wracking. Baby is no longer within an arm’s reach away and you need a way to make sure baby is doing ok during the night. 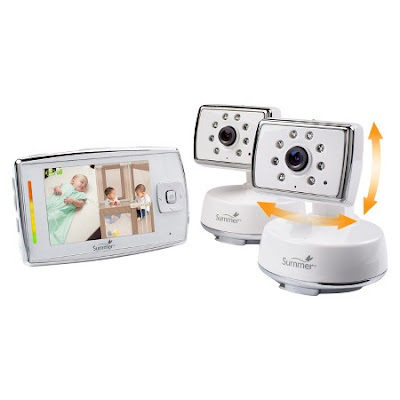 When Audrey was born we decided to get a dual view monitor and placed a camera in each child’s room. We still use a monitor in Raley’s because she is now in a “big girl bed” and sometimes likes to get out of her bed. We really like our Summer Dual View Monitor. It can “scan” between both cameras every few seconds so that we can keep an eye on both rooms. You can also watch them side-by-side but in this view you can only get sound from one room. These are my very favorite diapers for newborns. I found that Huggies diapers would leak more when they were itty bitty. Once baby is a little bigger (size 2 and up), Huggies and other diaper brands have worked just fine for us. 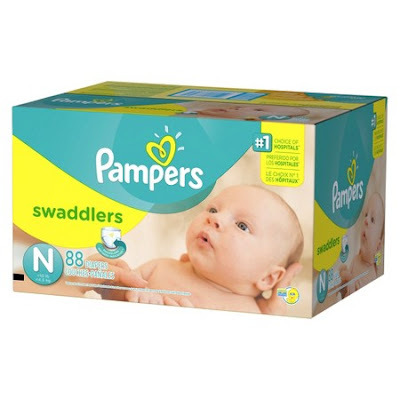 But something about the fit of the small sizes in Pampers worked better for us to prevent leaking. However no diaper out there is going to contain an epic blowout! 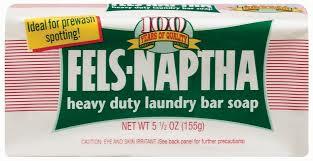 Speaking of epic blowouts…this (super cheap) laundry bar has gotten out every single yellow poo stain that we’ve had. A friend at church told me about this and it has worked wonders. I call it my “magical bar of soap” and have gifted it to multiple friends who have had babies recently. It’s even gotten out old stains in clothes that have already been washed and dried! Seriously, check it out! I found mine at our local Kroger on the laundry detergent aisle. If you can’t find it locally, they do sell it on Amazon! These “burpy bibs” have been the best thing as far as bibs go. 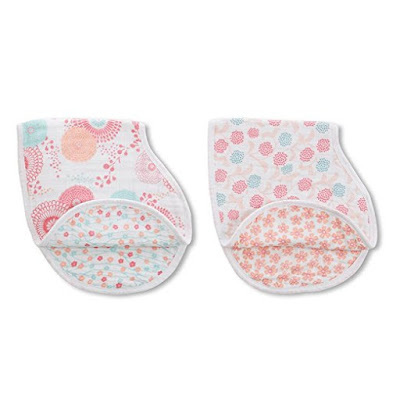 They can be used as a burp cloth or can snap on like a bib. They’re bigger than a regular bib so they cover baby’s shoulders for more coverage if they spit up. They are very soft and very cute! Infant medication isn’t something that many new parents think about when getting ready to bring baby home but it is a good idea to have a few medications on hand in case you need them. The last thing you want to do when you have a fussy baby that doesn’t feel good is run out to the store to buy medication. 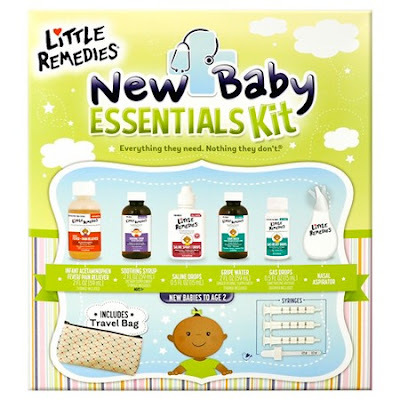 This pack includes essentials such as fever reducer, gripe water (for colic), gas drops (which we used more than anything), and more. I truly hope that this list helps you when registering for baby items or choosing a gift for a friend who is expecting. Would you add anything to this list?